Economics just turned even harder. On top of studying textbook, class notes and evaluating every possible action and policy outside, the teacher asked us to start following economic news. There was important discovery in Maths or Physics from time to time and you would read about them in a nice magazine article. But somehow so much economics related things would happen every day that they easily fill a dozen of newspaper and there were still enough left for various periodicals. Apparently, all self-respected economics students in the UK subscribed to both the Financial Times and the Economist. And we were told to do just that as well. Subscribing to these two newspapers was relatively easy. Despite Hurtwood’s location, we were able to receive the Financial Times daily at lunch time and the Economist every Friday. But reading them was a lot harder. The Financial Times was twice the size of any newspaper I had seen before. The only way to read it was to fold it in the middle and read half of the page at a time. Otherwise, the paper would be too big to be held or to be put on any table. Having to flip the folded paper back and forth was not too much trouble, as I rarely even finish the front page during the hour I allocated in reading it every day. My slow speed was mostly due to the new vocabularies. As I had the habit of highlighting any word I didn’t know, the paper would turn almost entirely into green once I finished with it from its original pink colour. After copying the new vocabularies into my little book for a few days, I had given that up. It was too time consuming and those same words tended to repeat so frequently that the paper itself could act as the vocabulary book, I figured. The frustration of reading it had made me think about giving up a few times already. It took up half my daily prep time to read just the front page and it didn’t look like it was getting any better. But a simple glance at the Economist would always change my mind. If not reading anything was not an option, I would pick the Financial Times any time. At least I felt the journalists there tried to explain things in simple English whenever possible. The Economist had no such empathy on the other hand. No wonder economists came up words like “evaluate” or “assess”, they belonged right into all the incomprehensive things talked about in the magazine. After looking up words like “long”, “short”, “hedge” and “equity” in a dictionary, I still had no clue what “long-short equity hedge fund and private equity fund” meant. 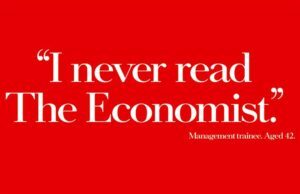 When I saw the slogan somewhere earlier this week, “The Economist — Not read by millions of people”, I felt right at home with those millions of people. Somehow, I even suspected I was not the only self-respected economics student subscriber belonging in that camp neither. The only comfort came when I found when you had enough issues of the Economist, they could keep the door open just as well as the economics textbook. PS: When I go to visit different school nowadays, I inevitably see copies of The Economist lying around. 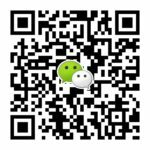 If you are one of those student subscribers who don’t understand much of what it talks about, don’t worry, you are not the only one. During most of my time in A level, I could at most understand a couple of articles per issue, mostly China related. I only started to understand some of the economics part in university and the politics and finance part after I started working. But if economics is something you like, just keep trying. It is a very good magazine. When you have enough past issues to keep all the doors in the house open, most likely you will start to like it. And try to buy the one or two-weeks-old past issues off your fellow self-respected economist classmates as well, it will be a lot cheaper that way.